Sometimes there’s nothing you feeling like eating more than something on toast. Cheese on toast (with Worcestershire sauce obviously), avo on toast, Marmite on toast, egg on toast…we all have our favourites. Real comfort food that’s quick and easy to make. These days it’s been elevated to a different level with the wide range of bread you can get. I often gasp at the displays in markets and bakeries with their beautiful loaves on offer. And the aromas to inhale are a joy to the senses. Thinking back to my childhood days in Zimbabwe, there was only one type of bread available – the white loaf – and it was often stale. Now I’m so spoilt for choice. Add to that creative toppings and you have a whole new world of toast opening up to you. Which is why I love this book Toast: The Cookbook by Raquel Pelzel. It’s packed with great ideas for your toastie toppings, with inspiration taken from all over the world. Some simple, some more gourmet and complicated. And Raquel has the genius idea of making flavoured butter. 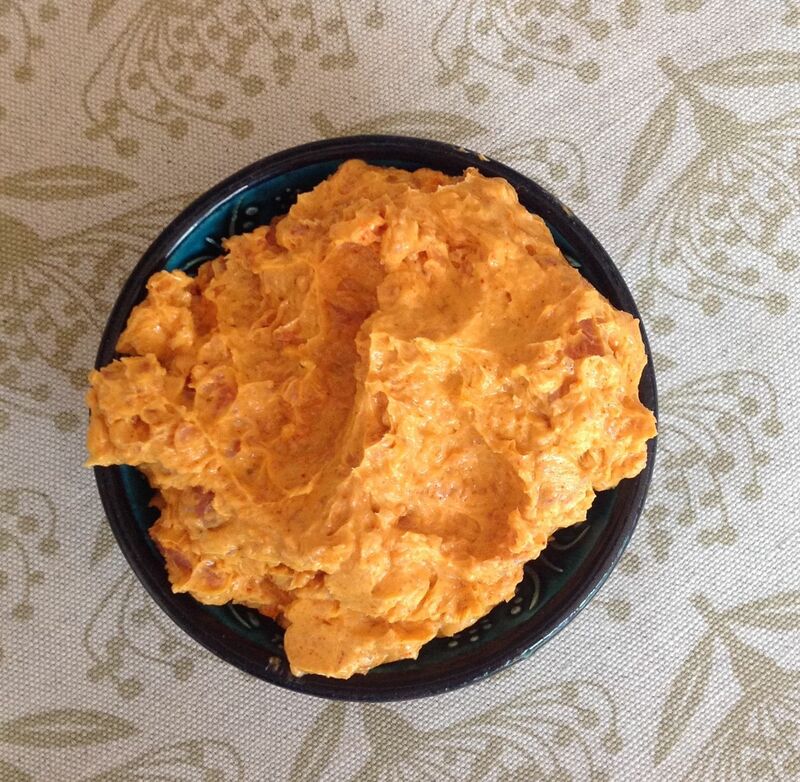 Like in the first recipe I tried which involved tomato butter – now doesn’t that sound good? 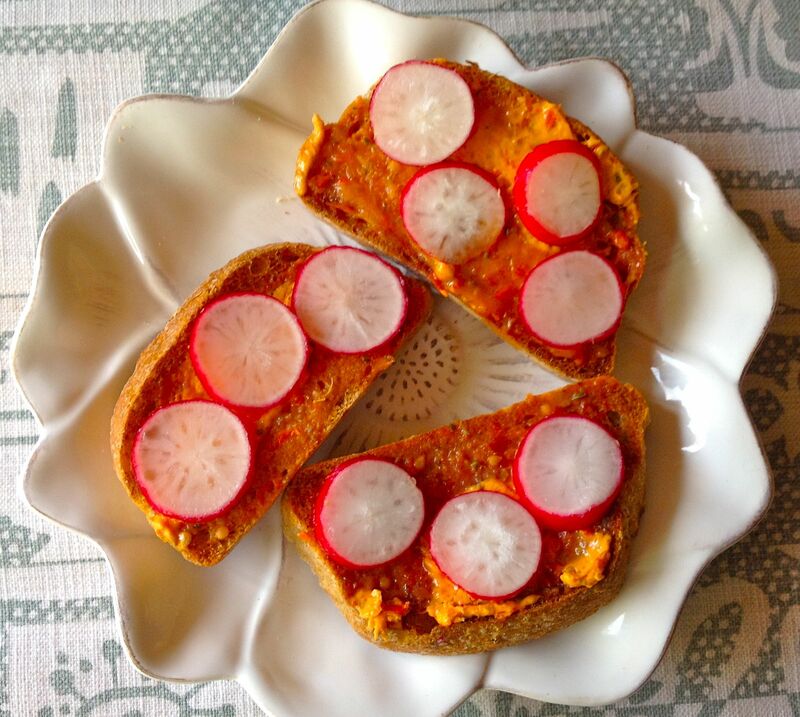 Spread your toast thick with this amazing butter and top with peppery, crisp radishes for a delicious snack. Another recipe involves an old favourite of mine – avocado. An often-consumed breakfast, sliced and spread on toast with plenty of salt and pepper. 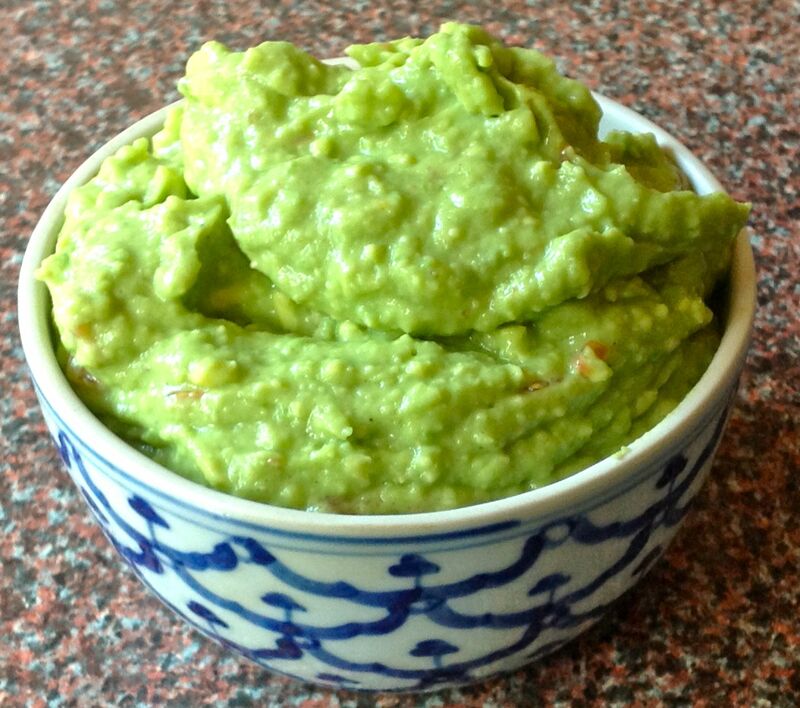 Or you can make a basic guacamole by mashing it with a fork and adding a touch of lemon juice so it doesn’t discolour. 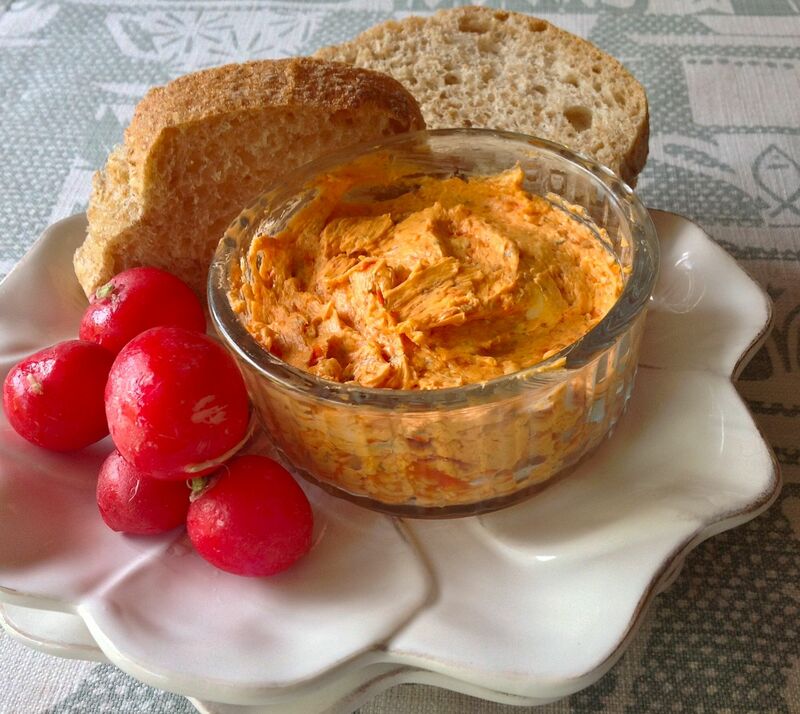 Then spread thickly on freshly made toast – and Raquel’s recipe tops it with a delicious crab/mayo combo. Time for another buttery treat with this fabulously tasty pepperoni butter. Spread thick and topped with sliced mozzarella, the toast goes back in the oven until the cheese melts and voila you’ve got a pizza toast to savour! That’s clever! This is just a small taster of what’s on offer. You could try making macadamia nut butter infused with cardamom, oven roasted tomatoes and whipped feta, spicy lobster balchao toast or lemongrass kiwi toast with honey cream. Yes, even pudding toast. They’re the perfect recipes for anytime snacks with a difference – and are also great for entertaining. Time to try some creative toasting! 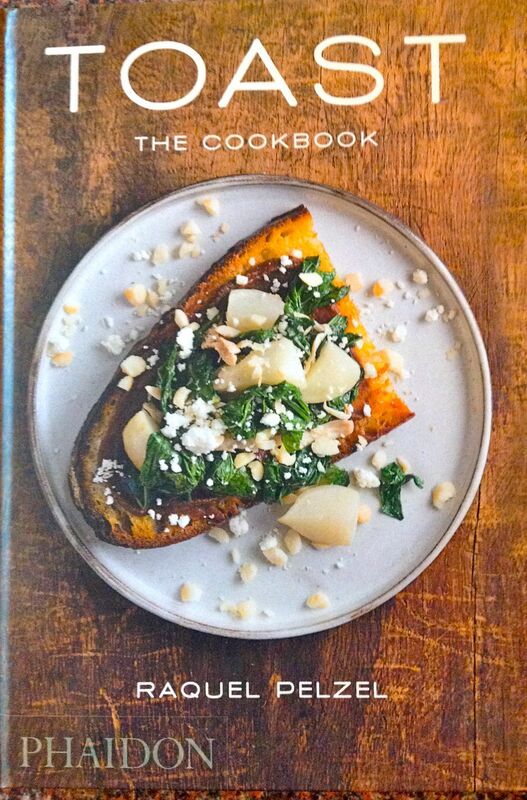 Toast: The Cookbook by Raquel Pelzel is published by Phaidon Press and sells for £14.95.